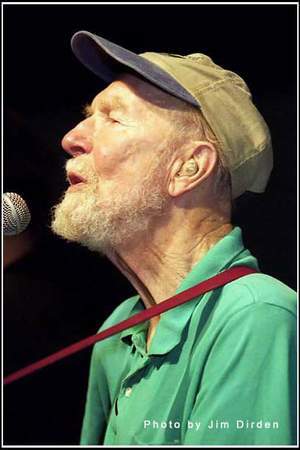 Folk legend Pete Seeger will release his first new album of studio recordings in five years this fall. The 32-track “At 89,” a nod to Seeger’s age, is due Sept. 30 via Appleseed Recordings. Seeger will play a handful of shows through the end of the year, including his annual Seeger and Guthrie Thanksgiving concert on Nov. 29 at New York’s Carnegie Hall. Now you and Pete are together, Nick. I’m wondering about your own legacy, not just your wonderful children or the memories you’ve left us with of you as reporter and editor, of your career as a journalist and a fine essayist and a novelist perhaps a bit too adventurous for the commercial presses. I’m thinking of the personal impact you had on people, how your curiosity and intelligence, your humor and storytelling talents, your remarkable memory for details from long ago, how all of it made for the totality of a lovely man and a friend I wish I had paid more attention to. You will always be special to me, your sharing of your values, of your love for books & writers that inspired me, that you responded to in me — this I will carry with me forever. How I hope you’re face to face with God right now. And yes, you made your mistakes, but who else should be there if not you.